Ziplining is a very family friendly outdoor activity that allows you to take a ride through the lush rain forest canopy of the Big Island. The lines are built high above scenic areas and geological features such as ravines, jungles, meadows, and forests. A zipline tour lets you explore these surroundings as you soar through them at a height between ~30 and 200 ft above ground. What happens during a zipline tour? Most ziplining tours are part of a multiple-hour “adventure”. Ziplines connect several scenic points including lush rainforest and one or more waterfalls. The number of lines differs for each tour operator with an average of ~ 8 ziplines per tour. The height of the rides varies between 30 and 200 ft above ground. The speeds you can reach while soaring down depend on a lot of variables (including your weight) but speeds up to 35 mph are reachable. There are more and more companies offering zipline tours on the Big Island and some shopping around can get you a good deal. The biggest difference between the different tour operators is the location of the zipline tours and thus their accessibility and ‘scenic value’. 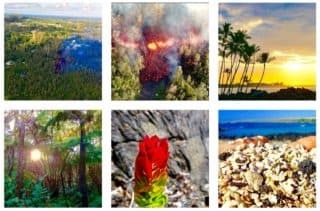 See the price comparison website hawaiiactivities1 for a comparison between the tours offered by all 5 Big Island zipline operators listed on this page (including possible discounts). The one zipline adventure on the north side of the Big Island is organized by Kohala zipline, a sister company of Hawaii Forest & Trail. 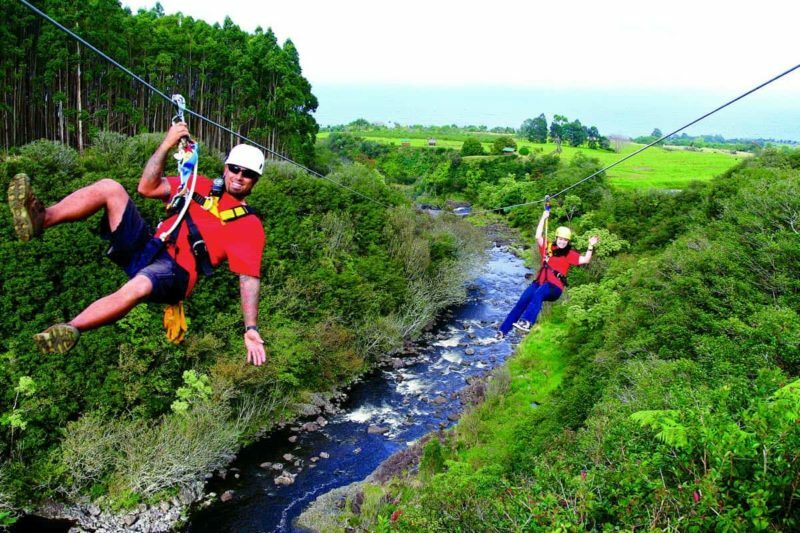 Kohala zipline offers zipline and canopy tours on the most northern tip of the Big Island close to Waimea. Their tours include 9 lines, 5 sky bridges, and a rappel, all located on private property. For an added fee the ziplining can be expanded with a hike to several on-property waterfalls and a dip in one of them. Transportation to and from most resorts in Kona and Waikoloa can be arranged, but give them a call for details. You can now book tours with Kohala Zipline directly through our website (have a look, it’s new and we’d love to hear your opinion!). If you prefer having a look at their own website you should have a look here. The zipling tours organized by the Umaumau experience are 16-miles north of Hilo and close to the very scenic Umauma falls. The tour consists of 9 lines covering 2 miles of zipping as well as a walk over a suspension bridge. You will also get to see 14(!) waterfalls including private views of the Umauma falls. Skyline eco adventures are located 1 mile south of the ‘Akaka Falls State Park on the Honomu Coast. Their tour includes in total 7 ziplines and a 1/2 mile hike over uneven terrain. The highlights are  a zipline that lets you soar over the 250 ft KoleKole waterfall and  a zipline over a 450-foot ravine. Note that despite what the name of their tour suggests, you won’t be able to see the ‘Akaka falls from the skyline eco adventure ziplines (nor from any other zipline). 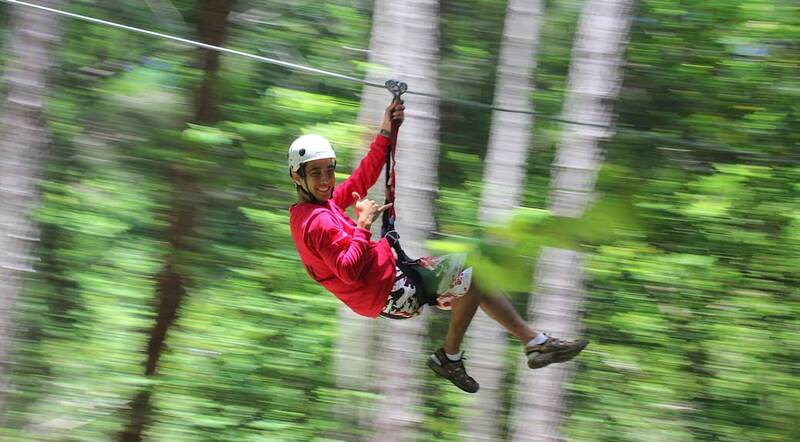 This is an 8-line zip tour that covers almost 2 miles of tropical river gorges. The longest line covers over 2.400 feet distance, and the tour lasts 3.5 to 4 hours. An optional upgrade including a hike and swim to some of their on-property waterfalls + lunch is also available. Find more information on our website or on the KapohoKine website. Zipisle is located at Botanical World on the Hamakua Coast, just a few minutes from Hilo. Their tour includes 7 ziplines and a suspension bridge. Fly Hi Ziplines closed in 2016, and we are not aware of any zipline tours in the south Kona district as of 2017.